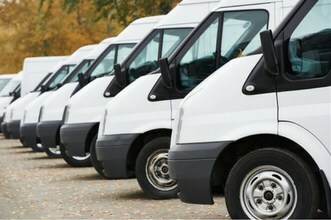 Looking for a 15 seater van rental service? We have daily, weekly, monthly and yearly packages available at good rates! Traveling within Singapore or to Malaysia and need a driver with a 15 seater van? We provide friendly drivers that know the road well. If you are planning a gathering or having a big family outing, Rentalorry will make your trip easier with our 15 seater van rental services. We offer cheap rental services for these vans that can comfortably sit up to 15 people and still have enough space for your baggage and luggage. Rental packages are flexible and available at good rates to suit customers with any budget. This service is one of our most popular services so book early to avoid disappointment! We needed a van urgently for Hari Raya, Charlotte was able to arrange the transport for us quite quickly. Slightly above our budget but still cheaper than booking a few cabs. We booked the 15 seater van to transport some VIPs around Singapore for an event. They were really happy with the service because the driver was quite friendly. Vehicle Rental – The 15 seater van rental service provides affordable leasing packages for both short term van rentals and long term van rentals. Our rental rates cover all maintenance and servicing that is required by the vehicle and we will try our best to provide replacement vehicles if your vehicle requires urgent servicing. Transportation Services – We transportation services available for hourly bookings or by trips. Depending on what you require, our staff will recommend the most cost effective solution to suit your needs. Our drivers will take care of all the driving for you so you don’t need to worry about not having the right license to handle a 15 seater van. With a larger vehicle, transporting a larger group of people is definitely more efficient saving time and cost. 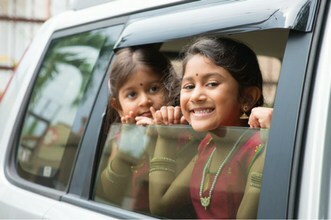 Carpooling also helps to save the environment as well! At Rentalorry, we have a wide range of vehicles available for the 15 seater van rentals. From long term van rentals to short term van rentals, we try our best to provide the most competitive prices in Singapore. If you require smaller passenger vans, we also have the popular 7 seater vans that are suitable for smaller groups. We also maintain our fleet of vehicles regularly to ensure that they are always in good conditions. Our vehicles are very reliable and we consistently update our vehicle fleets to provide you the best rental service.